A better focus towards customer satisfaction in ease of contactability. Business owners or managers who are looking to secure a good communication system that provides them with a positive ROI would find 1300 numbers to be very useful. At the very core of good communications would be to have the necessary insight as to what makes customers tick and what they would appreciate. Phone words helps business people do that. It is about the way you engage with our customers and helping them find ways to easily engage with you in turn, which is something that 1300 numbers would help you achieve. The challenge to source ways that would add value to your customers and increase your ROI becomes increasingly harder to do. This would include finding ways to make it easier for your customer to communicate or connect with you. 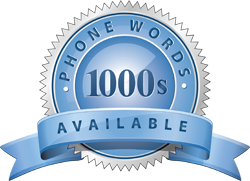 Phone words are the medium business owners should use to give them that extra special touch and in letting their customer know they really care. Firstly, some of the 1300 number suppliers in Australia would provide subscribers with reporting capabilities. This would permit you to view information about the range of phone calls you got through using an online management system. You get to see exactly where calls came from, at what time calls were made while comparing both the present and historic call quantities. This is great for wanting to figure out how many staff members are needed to man the telephones. Secondly, a 1300 phone number would be state based and make use of region based routing. If you happen to have various locations around Australia, then state based routing will allow your customers to call in from certain states to your 1300 phone word. In cases where you have several premises in one state, then region based routing would be the way to go. Thirdly, smaller businesses would be able to combine their 1300 numbers using a live answering service. This works very well in that if you do not answer your call within 15 seconds, the call will be rerouted to the nearest call centre to deal with any queries related to your product or service on your behalf.